Does Sun Exposure Affect Your Botox? Sun exposure ages the skin, but it does not interfere with Botox treatments. Prolonged exposure to the sun’s ultraviolet (UV) rays causes elastin fibers in the skin to break down. When this happens, the skin sags and stretches. The skin also becomes more susceptible to bruising and tearing and requires additional time to heal. Therefore, people should avoid spending too much time in the sun to reduce the risk of wrinkles, sunspots and other visible signs of aging in the face. Stay out of the sun as much as possible. Limit sun exposure to let the skin heal properly. Wear a high SPF sunscreen. UVA and UVB sun rays cause skin damage and sunburns. As such, use sunscreen with a sun protection factor (SPF) of at least 30. Use a topical antioxidant. Use a topical antioxidant to combat free radicals that cause facial wrinkles, lines and volume loss. Dr. Babak Azizzadeh of the CENTER for Advanced Facial Plastic Surgery in Los Angeles is a facial plastic and reconstructive surgeon who possesses unprecedented Botox treatment knowledge and expertise. He takes a holistic approach to Botox procedures and other facial rejuvenation treatments. By doing so, Dr. Azizzadeh educates patients about each facial rejuvenation treatment option and helps them get the best-possible results. For example, Dr. Azizzadeh explains all aspects of a Botox procedure before administering treatment. This enables a patient to prepare for the procedure and understand its side effects. 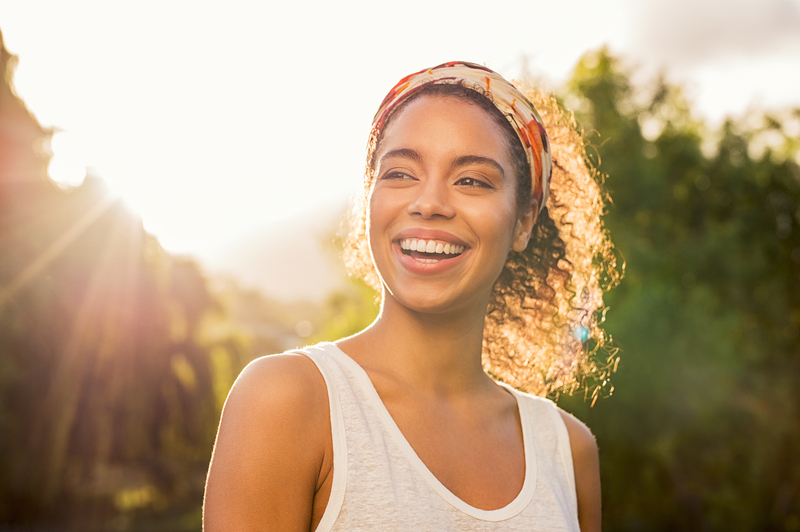 Plus, Dr. Azizzadeh’s in-depth approach to facial rejuvenation allows patients to learn about the potential ramifications of excess sun exposure following a Botox procedure. Dr. Azizzadeh’s goal with Botox procedures is to help a patient maintain his or her natural beauty. To accomplish this goal, he performs an in-depth patient evaluation prior to a Botox treatment. He then crafts a treatment plan designed to help a patient eliminate wrinkles and preserve his or her natural facial contours and the ability to make facial expressions. Facial Fillers: Smooth out wrinkles and replace lost collagen in the face. Ultherapy: Involves the use of focused ultrasound waves at a singular point beneath the skin to simultaneously stimulate collagen growth and tighten loose skin. Laser Skin Resurfacing: Requires DOT Deka laser skin treatments to resurface the skin on the face and neck and improve the skin’s tone, texture and pigmentation. Skincare Products: Help correct medical skin conditions, minimize UV damage and prevent the recurrence of persistent skin problems. Each of the aforementioned facial rejuvenation treatments serves a different purpose. When used in combination with Botox, these treatments can help a patient optimize his or her facial rejuvenation results. Stinging: Patients sometimes experience a stinging sensation at the Botox injection site. This sensation generally lasts for only 10 to 15 minutes following a Botox treatment. Swelling or Tenderness: Patients may notice swelling or tenderness at the Botox injection site. These side effects often resolve on their own within a few days of treatment. Redness: Patients’ skin may become red after a Botox treatment, but makeup can be applied immediately after treatment. Following a Botox procedure, Dr. Azizzadeh recommends frequent application of sunscreen. Patients should use sunscreen that provides broadband protection (UVA and UVB) and has a SPF of 30 or more. They should apply sunscreen 20 minutes before they go outside, once again just before they go outside and every two hours afterwards. If a patient faces direct sun exposure, he or she should wear a hat and clothing to cover the treated area. Also, Dr. Azizzadeh recommends Botox patients avoid excess sun and heat until any initial swelling and redness has disappeared. Dr. Azizzadeh strives to educate patients about all aspects of Botox. He wants to help each patient make an informed decision about Botox and ensure that he or she understands what to expect following treatment. To teach patients about Botox, Dr. Azizzadeh provides answers to some of the most-common treatment questions. Does the sun affect Botox? Sun exposure won’t interfere with a Botox treatment. However, excess sun exposure increases a person’s risk of skin sagging and stretching. Thus, individuals – regardless of whether they undergo a Botox treatment – should avoid extended sun exposure. Can you be out in the sun after Botox? Sunbathing after Botox is generally not recommended. Botox patients should also apply sunscreen any time they need to go outdoors following treatment. What should you not do after Botox? Exercise/Workout: Strenuous activity should be avoided for at least 24 hours following a Botox treatment. Excess Heat Exposure: Heat lamp procedures and sunbathing after Botox should be avoided until post-treatment redness and swelling have disappeared. Lying Down on the Face: For those who want to take a short nap immediately after a Botox procedure, it is crucial to avoid lying down on the face. Otherwise, doing so could interfere with the overall results of a Botox treatment. Massage: Massages and other spa services may cause Botox to shift and increase post-treatment swelling, and they should be avoided for about 24 hours following treatment. Medications: Blood thinners and other medications sometimes interfere with Botox treatment results. Prior to a Botox procedure, a patient should notify Dr. Azizzadeh about any medications that he or she currently takes. Then, Dr. Azizzadeh can let a patient know when he or she can start to use these medications again following a Botox treatment. Dr. Azizzadeh provides Botox patients with detailed instructions about what to expect following treatment. He also responds to patients’ concerns or questions, ensuring they know what they should and should not do after a Botox procedure. Can I go swimming after Botox? Swimming and other strenuous activities may interfere with the results of a Botox procedure, and patients should usually wait at least a few hours before they go swimming after a Botox treatment. Can you put on makeup after Botox? It is typically not recommended to wear makeup during a Botox procedure, but patients can wear makeup after treatment. Usually, patients can start wearing makeup approximately four hours following a Botox procedure. At this point, makeup will not interfere with a Botox patient’s treatment results. Can I take a shower after Botox? Hot showers should be avoided for at least 24 hours following a Botox procedure. A hot shower may seem like a good idea after a Botox procedure, but it may actually do more harm than good relative to treatment results. Heat from a shower may reduce blood flow to the face, causing Botox to shift. In this instance, a patient may struggle to optimize his or her Botox treatment results. Botox patients who want to keep the skin clean after a Botox treatment should use only cool or lukewarm water when showering. Also, Botox patients should apply light pressure when cleaning the skin to minimize the risk of post-treatment swelling. Remember, it is crucial to give the skin time to rest after a Botox procedure to ensure a patient can achieve the best-possible treatment results. By waiting at least one day before taking a hot shower and resuming a typical skincare regimen, a Botox patient can put himself or herself in position to accomplish his or her treatment goals. How long after Botox can I get a microdermabrasion treatment? Since Dr. Azizzadeh tailors each facial rejuvenation procedure to his patient, he offers microdermabrasion recommendations on a case by case basis. Dr. Azizzadeh often recommends waiting at least 24 hours to undergo microdermabrasion or any other facial rejuvenation procedure after Botox. In some instances, Dr. Azizzadeh may recommend a patient wait a few weeks for microdermabrasion or any other facial rejuvenation procedure following Botox as well. If a Botox patient wants to undergo a microdermabrasion procedure shortly after Botox, Dr. Azizzadeh meets with this individual and maps out a facial rejuvenation treatment plan. He also adjusts this plan as needed to help a patient rejuvenate his or her facial appearance as quickly as possible. What happens if you drink alcohol after Botox? Alcohol thins the blood and causes blood vessels in the face to dilate. If a Botox patient consumes alcohol following treatment, it may disrupt the procedure’s results. Dr. Azizzadeh usually recommends a Botox patient avoid alcohol consumption for approximately 24 hours after his or her procedure. That way, a patient can ensure alcohol won’t interfere with his or her Botox treatment results. Dr. Azizzadeh is a double board-certified facial plastic and reconstructive surgeon who has exceptional insight into facial aesthetics and the anatomy of the facial muscles. He uses a very specific amount of Botox to help each patient achieve naturally beautiful results. To find out more about Botox, please contact us today at 310-657-2203 to schedule a consultation with Dr. Azizzadeh.